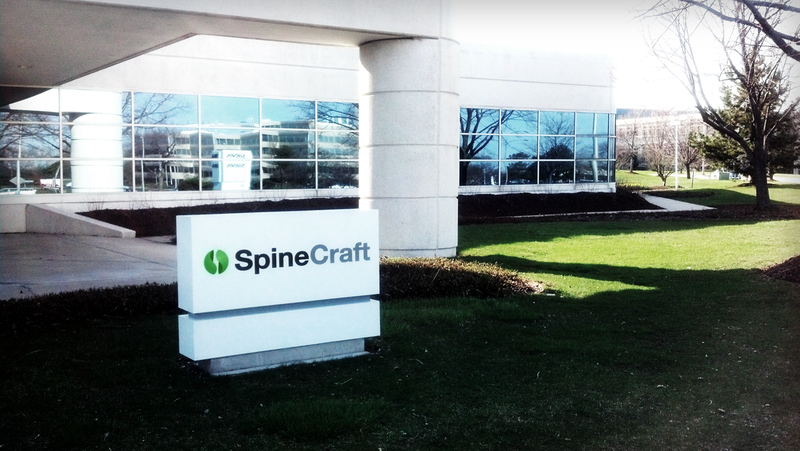 SpineCraft fosters an environment of surgeon participation in the implant and instrument design process. We utilize the clinical experience that will tailor products to better meet patient and surgeon needs. SpineCraft is a US-based, privately-held medical device company founded in 2004 by a group of medical professionals and started operations and product development in 2005. The company develops, manufactures, and markets products providing intraoperative efficiency for surgeons, cost-effectiveness for the hospitals and healthcare system, and superior outcomes for patients. SpineCraft creates intelligent solutions by listening to and understanding surgeons. This approach in developing implants and instruments results in more thoughtful ideas, more practical designs, and more useful devices that are extensions of the surgeon's own experience. Surgeon input remains central to the way we approach improving existing products or work on new ideas: from our Scientific Advisory Board to the individual surgeons who work with us on product development, we hear and see first-hand the concerns and obstacles surgeons encounter. With strong spine product development know-how, the SpineCraft management team is distinctly qualified to apply the knowledge of what surgeons need to their own past experience and successes - developing innovative solutions that combine flexibility, functionality, cost-effectiveness and uniqueness. Precision is at the heart of everything done at SpineCraft. From design to delivery, and every step in between, SpineCraft is committed to maintaining the highest level of Quality. The benefit of this commitment is the optimized feel, fit, and function of everything SpineCraft makes. SpineCraft is large enough to be able to provide the most advanced spine technology while meeting growing surgeons demand, yet small enough not to be hampered by inflated design and manufacturing processes that often prolong new product development at bigger companies. SpineCraft’s size and know-how allow the reduction of the time from initial concept to regulatory approval to months instead of years, greatly improving the cost factor of our products and allowing a closer working relationship with our surgeons. With SpineCraft's efficient development process, each product begins as smart thinking from surgeons who know best what is needed in the OR. Smart products are then designed utilizing this knowledge to solve specific surgical problems in innovative ways. Each product is then manufactured to meet strict Quality standards, and backed by very responsive team of customer service and technical support professionals.